Publication Launch & Group Exhibition, One night only! 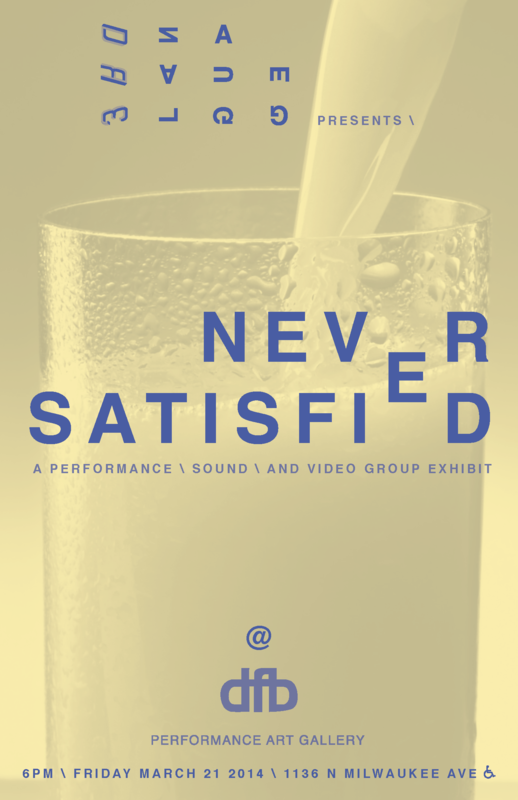 For the launch of 3rd Language Issue #4: Never Satisfied we chart the multiplicity of forms in which craving and desire may be enacted, embodied, (dis)embodied, artistically subverted and queered through the act of performance, the aurality of sound and the screening of video works. 3rd language is a Chicago-based collective of artists and thinkers exploring and embracing difference, otherness and transgression. We name this distinctness, Queer. We are interested in a Queerness that emphasizes ambivalences and the shifting and questioning of boundaries. Our Queerness is rooted in our identification within the Lesbian, Gay, Bisexual and Trans* spectrum. Through 3rd Language, we share work by contemporary artists through the creation of a quarterly publication and exhibitions. This entry was posted in Openings and Events and tagged 3rd Language, art, Arts, Chicago, Defibrillator. Bookmark the permalink.